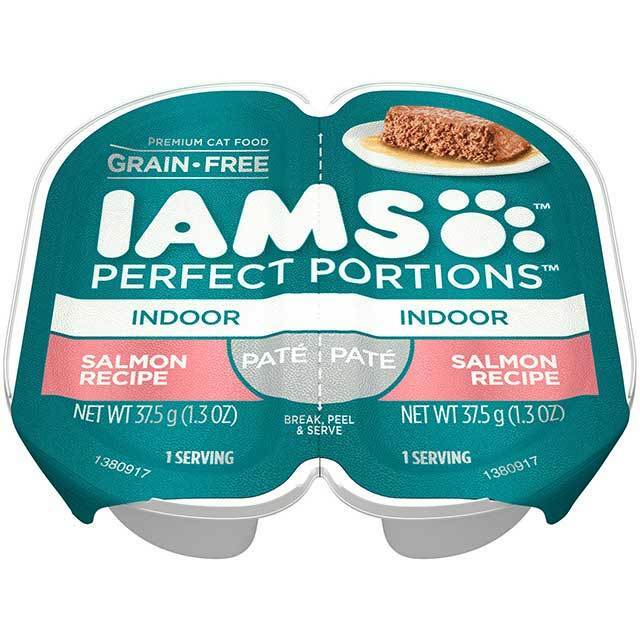 IAMS™ PERFECT PORTIONS™ Grain Free Indoor Cat Food Trays allow you to feed your cat wet food without the mess of leftovers in your refrigerator. 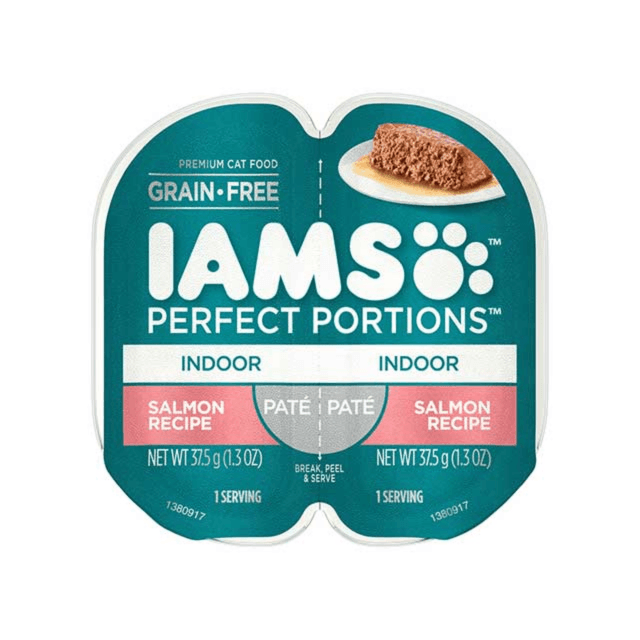 IAMS Paté Salmon Recipe is the hearty cat food you and your pet love because it provides the best of both flavor and nutrition. Our wholesome cat food is made with vitamin E to aid your cat's immune system and added dietary fiber and prebiotic for healthy digestion. 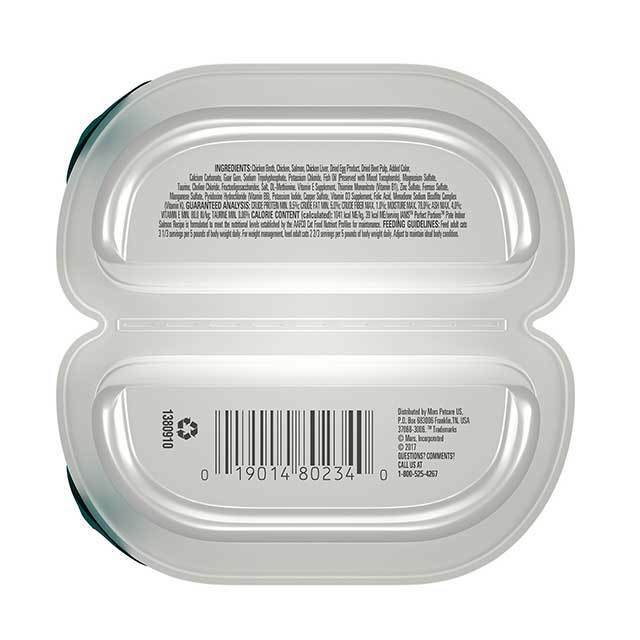 With IAMS™ PERFECT PORTIONS™ Grain Free Wet Cat Food, your cat gets a fresh meal every time.